Tom Rogers January 18, 2016 Travel InspirationWTF? 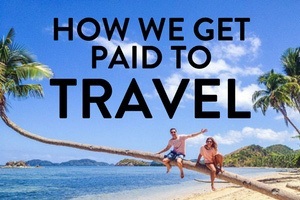 Southeast Asia is usually the first place people think of when thinking of backpacking or planning a gap year. Home to many countries offering a wide range of activities from diving to surfing to mountain hikes to jungle treks, backpackers are spoilt for choice. 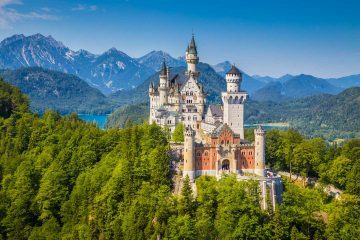 The typical tourist route though Thailand, Laos, Cambodia and Vietnam is known for its legendary parties and hundreds of must see sights. 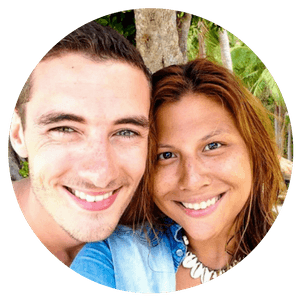 People coming from Western countries often learn a lot from travelling around Southeast Asia as the cultural differences are astounding. 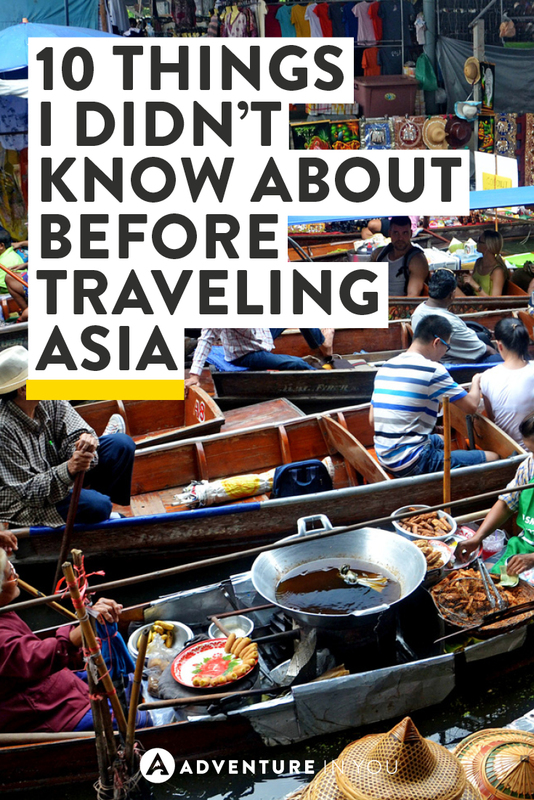 I left the UK with no plan but to travel for a while and after spending almost 2 years traveling around Asia, these are a few of the things I realized I didn’t know beforehand. People Use Umbrellas to Hide from the Sun Not the Rain! “Picture?” she said while gesturing to her camera. This was a situation that after just coming from China, I was more than used to. I smiled and went on to posing for yet another picture. Coming from Europe where most people keep to themselves, it was foreign to me when people first started asking to take my photo. You quickly learn that this is pretty common in Asia and start to feel like a mini celebrity. Move over Tom Cruise, Tom Rogers has arrived Ha! People take photos of you because you look different to the norm. One time, I even had someone come up to me and offer to pay for the meal I was eating in exchange for a photo with me. I was also once handed a baby to carry for the photo (I’m not even kidding!). In all honesty, I don’t really mind as it’s a great way to meet the locals. What I’m curious about though is where all these photos of me have ended up. Ideas anyone? Yes, you heard right. 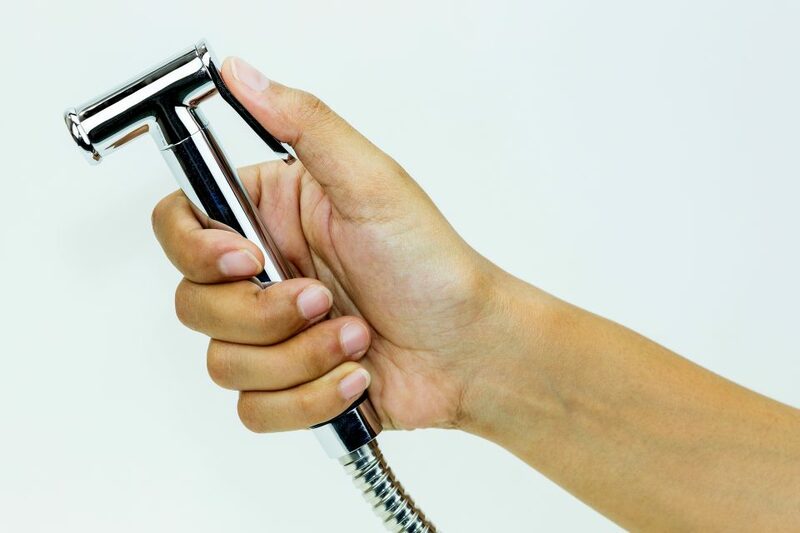 Dubbed as the “Bum-Gun” amongst backpackers the sweet invention known as the bidet, becomes one of your best friends when travelling around Southeast Asia. In Western countries, we are used to just using toilet paper to clean ourselves after disposing of our waste (aka taking a s**t). However the “Bum-Gun” is used like a water gun that washes your private area. I swear after using it you won’t want to go back to your old ways of just using toilet paper. Plus, I have heard the ladies end up liking it even more (Oh yea!). Sometimes you are unlucky and end up coming across just a squat toilet, with no bum-gun and no toilet paper. You are left to do your business with nothing but a small bucket of water at your disposal. That alone is a story in itself. 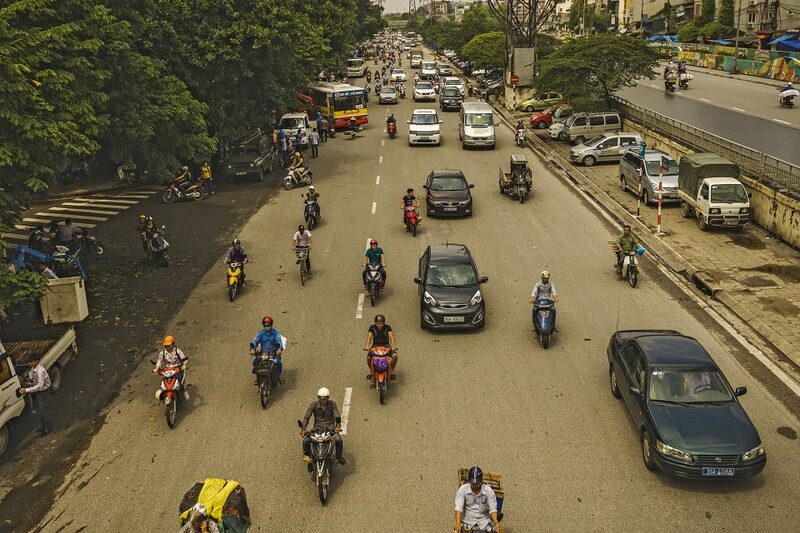 Crossing the road, while avoiding motorbikes, tuk-tuks, crazy taxis, and the odd bicycle is an art form you have to learn when travelling around Southeast Asia. People riding or driving will not stop but will weave around you. Sometimes, they get a bit too close for comfort. On the roads in Asia there are no rules. Every man for themselves, you included. Honking the horn is a past time and is another way of saying “I’m coming, get out of the way!” Oh and yea, you quickly realize that lanes on the roads are more of a suggestion. I know right! I’m from Wales so I am used to using an umbrella around 350 days of the year-but never to hide from the sun. It is common to see people using umbrellas to shade themselves from the sun, which at first might seem strange, but in some places you will be wishing you had an umbrella to do the same. Have you walked around Siem Riep on an extremely hot day? After a day of doing this in the blistering heat, you will understand what I’m talking about. 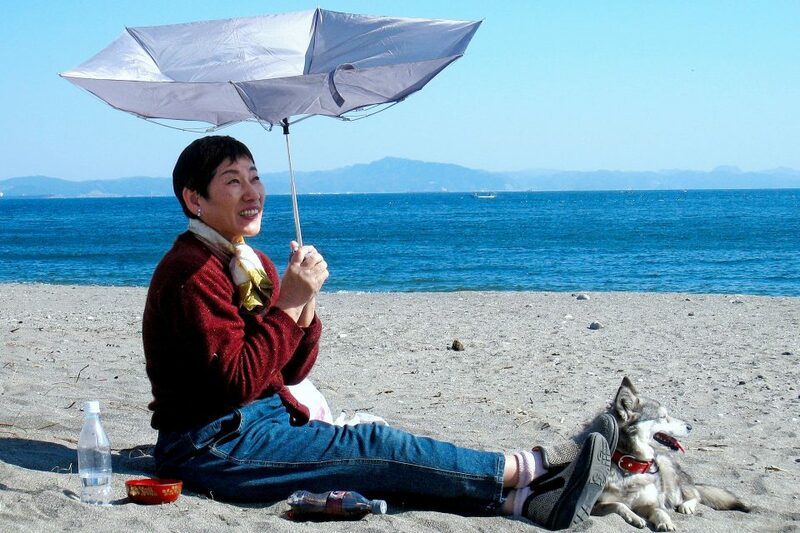 Others also use an umbrella to avoid their skin from getting a tan. Completely opposite to the typical Brits lying on beaches around the world, covered in oil and sizzling like bacon just to catch some color. Anna is continuously amazed when I remind her I didn’t know what “tuk-tuks” were before travelling around Southeast Asia. 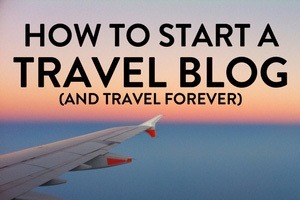 I didn’t plan much for my travels and didn’t read many travel blogs (ironic right?) so I never saw one. 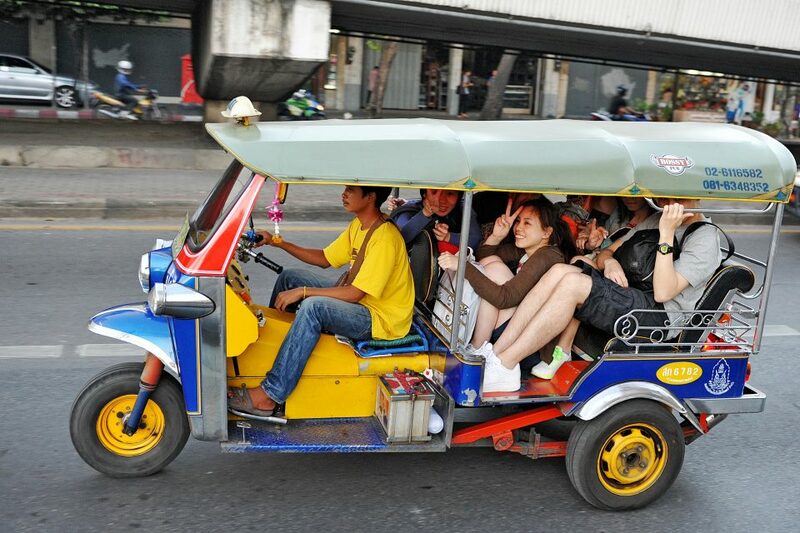 Also known as a tri-cycle in some parts, tuk-tuks are basically an old motorbike with a big side car fixed to the side. 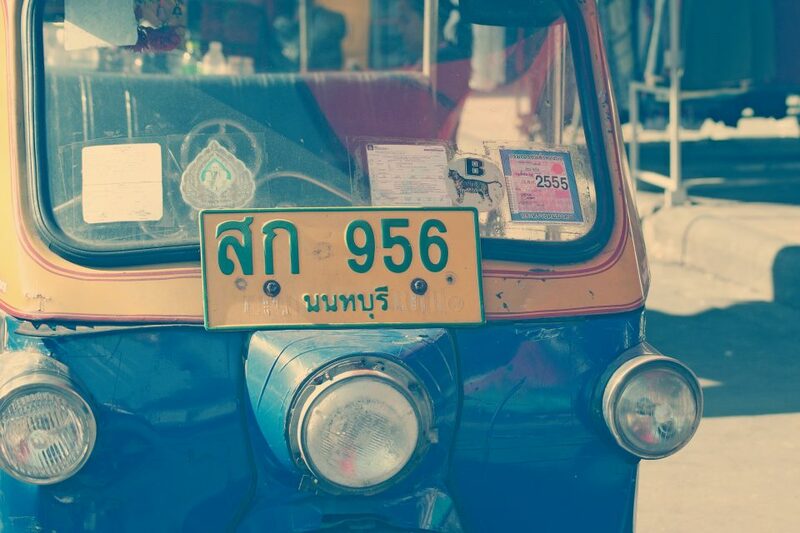 Our Creative Director Jon just finished travelling all around India in a “Tuk-Tuk”, true story! When I said “a big side car fixed to the side”, I meant the most it would fit would be three people. Some big tuk-tuks might fit four in the cart and one on the back seat of the bike. However, in Southeast Asia, there is no limit. I swear I have seen at least nine people on one not including the driver! This sight can be pretty incredible to see. You will often see tuk-tuks piled high with boxes, fresh produce, people, and livestock. You name it, you will probably see it on one! 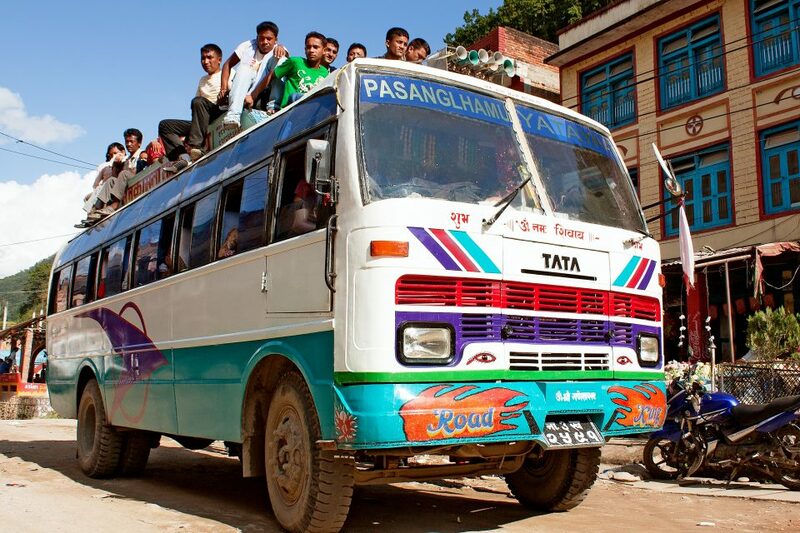 It doesn’t matter if your bus is full, most buses in Southeast Asia will try to fit as much as they can on board for the drive ahead. The more people, ingredients, livestock and other things they have on board, the more money they will make. So when hopping on a bus, get ready to share a seat with a chicken, sit on a tiny plastic chair in the middle aisle or spoon a stranger while traveling overnight (all true stories). Just remember that when you think your bus is full, think again. Tanduay in the Philippines, mixed buckets on the Thai Islands, why-not bar in Vietnam and infamous pub street in Cambodia. 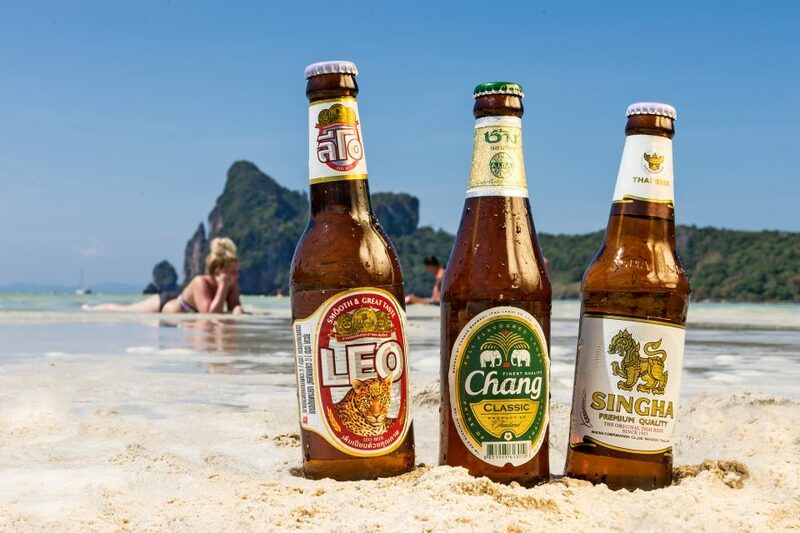 “Ahhh good times!” I hear those people who have traveled through Southeast Asia saying. For less than $5 you can get drunk. I’m talking lose your wallet, glasses and even pants drunk (true story – sorry mum). Admittedly the alcohol isn’t good and the next day you wake up with a hangover from hell, but a quick swim in the sea, a cold mango shake and you’re ready to go. Although we do warn you, do your research as there has been a lot of safety issues with drinking local spirits. 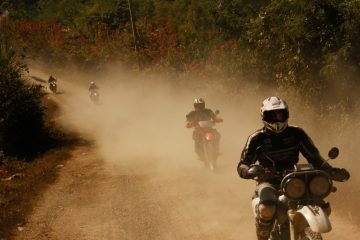 In Bali, we avoided them completely as we heard a lot of horror stories. Remember, party responsibly. Do not get attached to your flip flops. I repeat, do not get attached to your flip-flops because in one way or another, you will loose them. 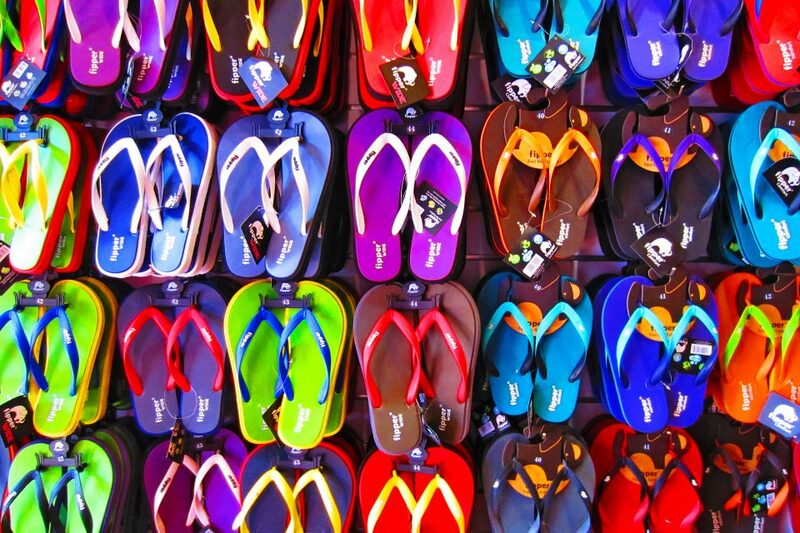 It’s safe to say that you shouldn’t buy the latest pair of Havaianas before setting off. You ask any backpacker who has travelled around Southeast Asia about this and I bet they have lost at least 2 pairs of flip flops during their time travelling. 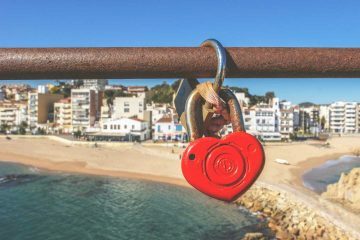 Whether its from a drunken night out, a swim in the beach, or a mix-up in the hostel, you are bound to loose or break at least one pair. 50 Batt or a dollar fifty later, VOILA, you have a brand new pair. Welcome to island life. Gloves off, your best smile on. Get ready to listen to whatever price you are first told and then haggle it down to at least 40% of that. Anna is a killer bargainer and often haggles the price down after a few jokes and laughes. 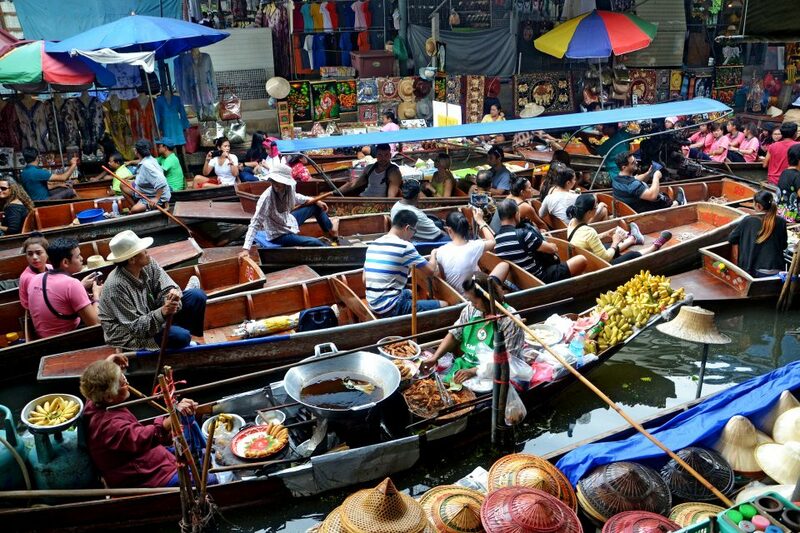 Apart from listed hostels/hotels and restaurants, you can haggle almost anything else down. Especially taxis! The best tip is to have a general idea of how much things cost so you know if you’re getting ripped off or not. Overall, travelling around Southeast Asia will open your mind to new experiences as you immerse yourself in new cultures, food and explore different paradises on earth. 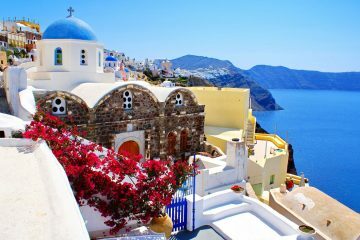 The people you meet, the memories you make and the journey you go on will in doubt make you a better person at the end. 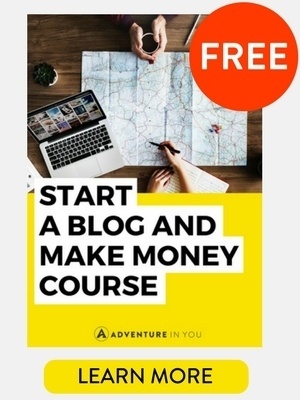 I totally love this post! The first price in South East asia are never the actual price, I recently went to China and got a massive 45% discount for my hotel rooms. I met a couple of Dutch girls in Johor Bahru en route to Singapore & they told me when they were in Melaka, not only locals took photos with them some even proposed for their hand in marriage! Very lucky to know about the southeast Asian countries people behavior and culture. Haha oh the flip flop thing is so true, I was in loooove with my super touristy Aussie flag flip flops when I first got them, only to lose them in ankle-deep mud some time later while trying to push our car out of said mud. Sigh, they were pretty. The next day I went and bought another pair 😀 I have to slightly disagree with the picture taking. In India I allowed people to take a few pictures for the first few days because I thought too that it would be a great way to interact with the locals. They however didn’t seem to be interested in me. I don’t mind the language barrier, but when you’re not trying to communicate in any way except for pushing me closer to your camera, you’ll make me feel like a zoo animal. 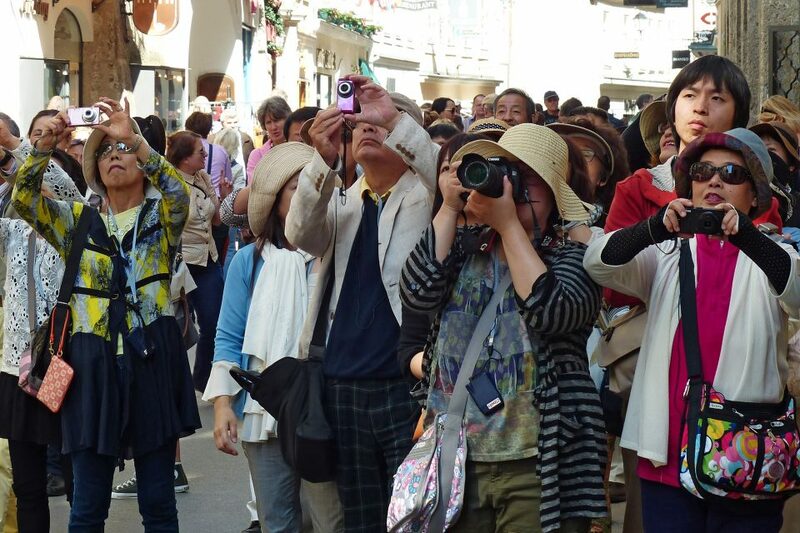 Plus one family taking photos always causes a line of admirers and you never make any progress on your sightseeing.